Whatever you are in need of in terms of your home relocation to Sydenham, SE26 you should try Moving Service. We know how to get a range of removal related jobs done, from packing to the final unpacking, and all via a great transportation service. We have the staff, the equipment and the vehicles. You will find that the best way to go about an excellent home move in Sydenham is to hire a company that has a long-term collective experience. You need a team who know each other well, and who work together to ensure that you do not have anything to worry about. We tend to find that there is a certain relationship between our team and the client, where the trust is handed over, and your items are cared for by our staff, as if they were our own. When you look for a great removal team in Sydenham, you need us. Whatever your moving needs are, from large domestic jobs, to smaller commercial moves, we can help you out. We can assist with planning, and make sure that nothing is left uncovered before the big day; this means that your stress levels are managed and you will not have any apprehension in the lead up to the removal itself. 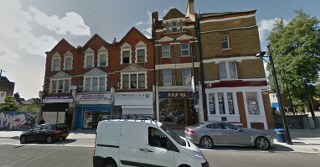 A moving company in the SE26 area should not let anything go wrong. So, call us today on 020 8746 4402 and we can get you started on the road to an easy home removal around Sydenham. It is an area in the South East of London. It straddles the London Boroughs of Southwark, Lewisham and Bromley. The area is typically suburban and residential. It is historically significant in being among the first of the southern London boroughs to have the railway in 1836. The railway served the number of visitors to the Crystal Palace of the ‘Great Exhibition’, which was relocated here in 1854. The area has an excellent amount of green open spaces, many of which conservation areas. The largest of the parks are Mayow Park and Sydenham Wells Park, which are both awarded with the Green Flag. The area is served by Sydenham station, which connects to the London Overground service. There are also rail links via Southern rail services, linking the area to London Bridge and London Victoria, and therefore the rest of the country. When we offer up our removals services in Sydenham, SE26 we know that you are looking for great value. The moving process comes at the end of a string of events that would have cost you a lot of money, no matter whether you are buying a new place or renting one. You would have had to pay solicitor’s fees, estate agents, and put down large deposits. For this reason we offer amazing rates on our removals. Keeping our costs low means that you get a great service at an amazing price, and you will not have to worry about whether you are wasting money on the process. When you are looking for the right service for a smaller removal, our man and van service covering the SE26 region will be perfect. Our drivers are well experienced and know the best way to get you around the area. We can make sure that you avoid all potential delays and any mishaps with your removal, as our staff are well trained and experienced in handling delicate things. You will be surprised at how easily and cheaply we can get you moved, so call Moving Service on 020 8746 4402 today.